I took the above photograph in York a week or two ago. 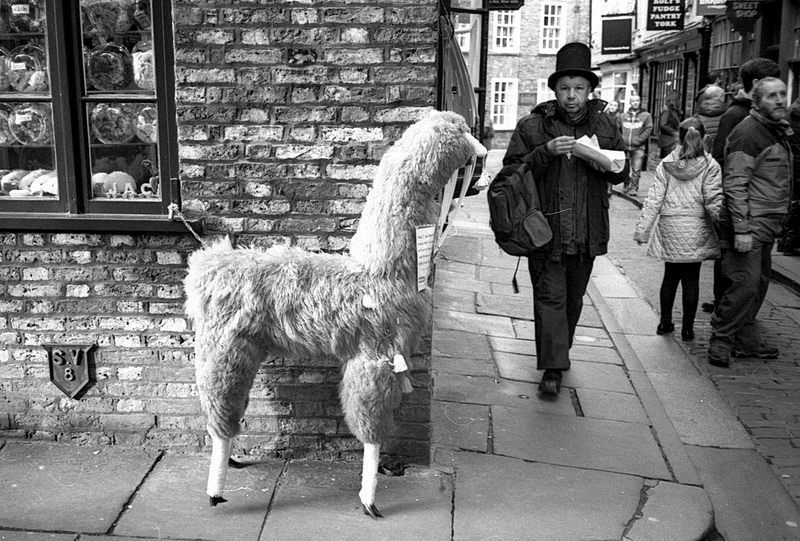 Llamas (or is an alpaca), can be dangerous creatures in the street. They wait for you behind corners, then pounce. There goes his chips. Taken on my 50p car boot sale camera, the incredible, thirty five year old Olympus XA2 pocket camera, loaded with that equally magical Rollei Retro 400S 35mm film. Developed in Ilford LC29. I find that 400S film, is not only very high contrast, but it tends to under expose. Therefore, I set the XA2 to expose for ISO 200 film, and add an extra minute onto development time. I thought that it would make a bit of a break from the serious looking heritage and genealogy stuff.